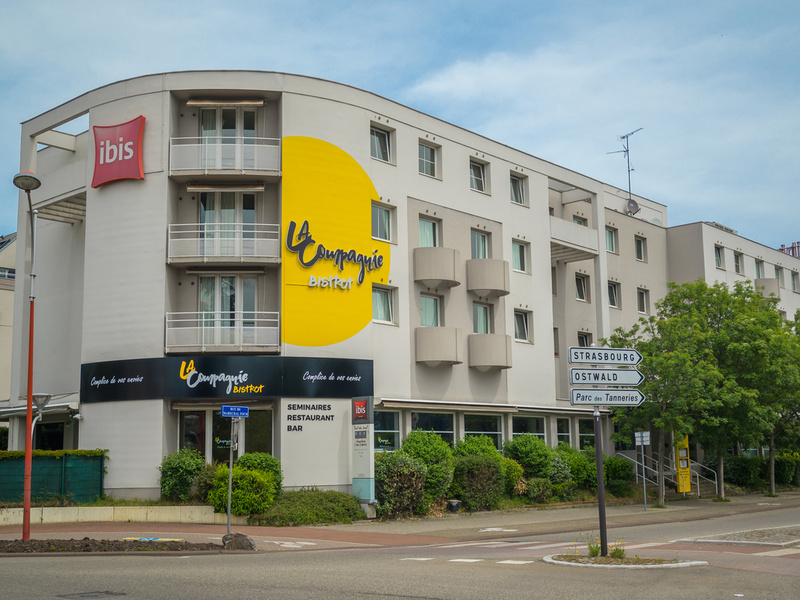 The ibis Strasbourg Aéroport le Zénith hotel in Lingolsheim is opposite the Les Tanneries area, 10 min from the airport and Zénith concert hall. It has 81 air conditioned rooms, including 50 with twin beds, and free enclosed outdoor parking. Our recently renovated seminar rooms are all on one level and enjoy natural light. The hotel is 10 min by car or 25 min by public transport from downtown Strasbourg. There is a stop for bus line 15 opposite the hotel, and tram line B is just 8 min away by foot. By car, 10 mins from airport and Zénith concert venue, 30 mins from the Haut-Koenigsbourg château. 3.7 miles from the TGV station.